Our rinse-clean daily formula leaves your hair bouncier than a 'roo! Woohoo. With Australian Kangaroo Paw Flower extract. For hair that wants to be clean every day. For everyday cleaning that's not so everyday.Bounce, bounce, c'mon bounce! This daily shampoo, with Kangaroo Paw Flower extract, rinses clean to leave you with beautiful, shiny hair that's full of...you guessed it....bounce! The Kangaroo Paw flower is so named because it really does look like a little 'roo's paw - funny that! 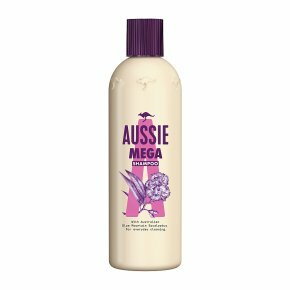 So every time you wash your hair with our shampoo, imagine hundreds of tiny kangaroos gently caressing your hair into beautiful bouncy wonderfulness.